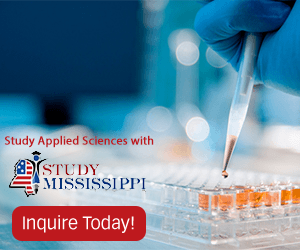 If you are an international student with an interest in science, but are unsure exactly what scientific field you want to study, you might consider studying applied science in the United States. Read on to determine whether or not applied science is the area for you. Applied science is a discipline that is used to apply existing scientific knowledge to develop more practical applications, for example: technology or inventions. In natural science, basic science (or pure science) is used to develop information to explain phenomena in the natural world. This information is then put to use for practical endeavors through applied science. Applied science is generally engineering, which develops technology, although there might be dialogue between basic science and applied science (research and development). Medical sciences such as medical microbiology are examples of applied sciences. These sciences apply biology toward medical knowledge and inventions, although not necessarily medical technology, which is developed more specifically through biomedicine or biomedical engineering. Epidemiology, the study of the patterns, causes, and effects of health and disease conditions in defined populations, is an application of the formal sciences of statistics and probability theory. Genetic epidemiology is an applied science applying both biological and statistical methods. The College of William & Mary in Williamsburg, Virginia, offers an undergraduate minor in applied science, as well as Master of Science and Doctor of Philosophy degrees. The courses and research fields required for these degrees cover a variety of fields including neuroscience, optics, materials science and engineering, nondestructive testing, and nuclear magnetic resonance. The Bachelor of Applied Science (often abbreviated as B.AS., BAS, BSAS, BASc, or BAppSc) is an undergraduate degree earned after a course of study that generally lasts about four to six years in the United States. In the US, a BAS is considered a highly specialized professional technical degree. The Bachelor of Applied Science is an applied baccalaureate, and typically contains advanced technical training (such as military training) in sciences as well as liberal arts. The BAS degree is meant to teach students professional management skills in order to meet the demand for leadership of highly technical professionals in the workplace. A Bachelor of Applied Science degree requires an Associate of Applied Science (AAS) degree, a minimum of 4-years of professional development or additional classes in an approved field, professional certifications or approved military training, and 2-years of upper level college courses. An Associate of Applied Science (AAS) degree is a technical degree in the United States. They generally take two to three years to complete. To apply for a degree program, you will need a high school diploma (or its equivalent) and entry level testing. An AAS can transfer to an accredited Bachelor of Applied Science program. If any of these areas are of particular interest to you, then studying applied sciences in the United States might be the right path for you. Visit the Study in the USA School search to find schools that offer programs of study in Applied Sciences. Over time we will be updating this section and including more information for those who want to study applied sciences in the USA and for other countries, but please feel free to post your thoughts and comments on our Facebook fan page, and also follow us and post questions through Twitter.